I love my publisher! Crimson Romance has been so good to me. The editorial staff is fantastic (I can’t say enough good things about them! ), and the novels available in their catalogue are absolutely fabulous—beautiful covers, excellent writing and wonderful stories. And they’ve given me such fantastic opportunities. The latest opportunity? 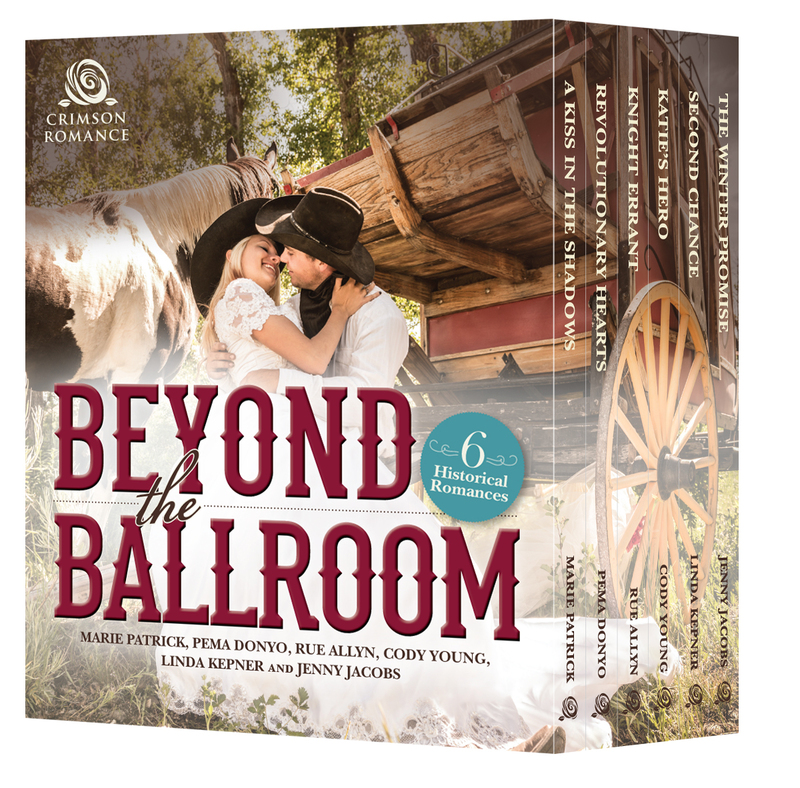 They’re putting my historical western romance, A Kiss in the Shadows, in a box set with five other authors! How fantastic is that!?!? Driven by his single-minded mission to make Logan pay, he rides from town to town on a lonely quest, careful to keep emotional attachments at arm's length - until young, beautiful Stevie Rae Buchanan insists on joining his hunt. Stevie Rae's father was also brutally murdered by Logan, and she won't rest until the outlaw is either behind bars or dead. This is such a great opportunity. What could be better than six full length novels for the bargain price of 99 cents!